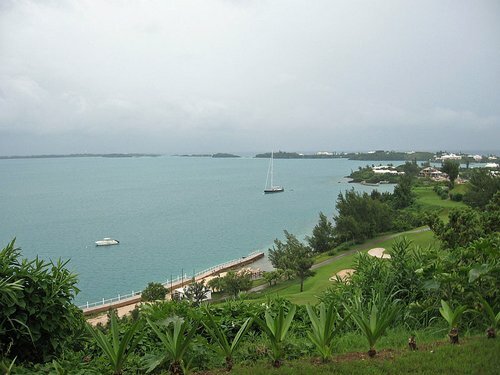 This beautiful harbor is surrounded by Hamilton Parish on the west and St David's on the north east. This is where the Royal Navy once docked the ships before the water became too shallow due to sand deposits. There are many small islands and rocks near Castle Harbor's opening to the Atlantic ocean. The ships could enter only through this opening. And the British had built forts on some of those small islands like in Castle Island for defense. Castle Islands is a group of Islands that you see right next to the tip of the southern peninsula at the entrance of the Castle Harbor. The harbor was named after these island. 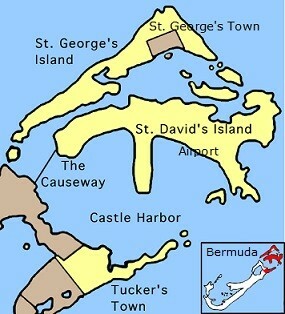 These islands are part of Bermuda's Nature Reserves. You can reach the Castle Island by boat. They are great for hiking, bird watching or even picnicking. you can take a boat excursion from Grotto Bay Resort to go around Castle Harbor. Its a spectacular scenic ride. You will be able to see a number of beaches and waterfront areas along the edges of Hamilton parish and St. George. There used to be huge hotel called Castle Harbor Hotel at the Tucker's Point peninsula. This was owned and built by British Shipping Company in 1930. Later it was taken over by the Marriott group who could not run it beyond 1999. Bermuda government then demolished the building and built up the Tuckers Point club, and expensive villas and condos for the rich. There are two great caves at Castle Harbor close to Tucker's Point. 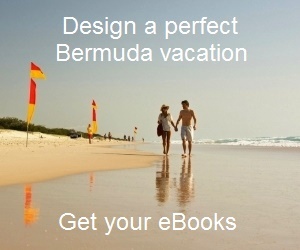 Church Cave is well known for having one of the largest underwater lakes in Bermuda. The second is the Bitumen Cave which became a dumping ground at the time of demolition of the Castle Harbor Hotel. Bus #10 and #11 come near Grotto Bay Beach Resort. From here you can take a scenic boat ride into Castle Harbor. Check out Boat Rentals to know about the boat rental operators and their offerings. 1) Check out Hamilton Parish to find out other great attractions in the parish. 2) Check out St. George's Parish to know about the parish & all its attractions and activities.